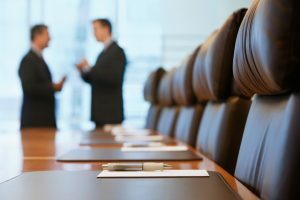 Why Are Boardrooms Important for Small Start-Ups? Home » Posts » Why Are Boardrooms Important for Small Start-Ups? Among start-ups, there is high demand for boardrooms for rent in Ottawa, Mississauga and surrounding areas. It is now easier than ever to create your own start-up. With the Internet, there are endless opportunities for entrepreneurs looking to begin their own business. Entrepreneurs can now bypass the traditional barriers to business success, such as having physical office space, a large number of staff, or other factors that require big investments. However, even for Internet-based businesses, there are times when boardrooms and meeting rooms are necessary. A meeting room rental is an affordable and cost-effective way to gain access to a professional space, and many start-ups find it to be a necessity. For start-ups, a lot of work can be done from home remotely or in public spots with Wi-Fi (such as cafés). However, there are times when having a formal meeting room is not just important but a necessity for a business. When meeting with clients, investors, or business partners, it’s important to meet within a professional environment. Start-ups need to project a professional image or else risk being viewed as an unprofessional or illegitimate business. For new start-ups, it’s crucial to have a professional reputation, and meeting in professional work environments is one way to present a good business image. Meeting rooms aren’t just for appearances, however. Boardrooms also serve an important function, facilitating meetings, presentations, training seminars, and work sessions. Having the right work environment is important for these functions, where industry technology and professional equipment are often needed. Projectors, audio-video conferencing systems, and digital displays are often key ingredients in successful presentations, seminars, or brainstorming sessions. When entrepreneurs want to bring the staff in their start-up together in one room, it’s crucial to have a work environment conducive to business. That means a quiet, private space with the right equipment and auxiliary functions. Holding a meeting in a coffee shop or in an apartment is not just unprofessional, but it ends up being not very effective or efficient for work, either. Innovative Professional Offices offers fully furnished meeting room, boardroom, and seminar room rentals. Our boardrooms come fully equipped with cutting-edge technology and professional equipment, including projectors, audio-video conferencing systems, whiteboards, and displays. Our boardroom rentals are available in a variety of sizes to handle everything from small, three-person meetings to larger presentations or seminars for large groups of attendees. Our boardroom rentals can also come with auxiliary services, including receptionist services, catering, IT support, and greetings. If you’re looking for affordable office rentals, Innovative Professional Offices offers fully furnished rentals, along with boardrooms or meeting room rentals, in Ottawa and Mississauga. To learn more, call us or contact us!